January was a fairly sombre month on the eating front. With the plans to detox and literally shed some of that Gourmet Belly meant that there were no new entries on our blog – Sorry folks! But it’s half way through February now, and we are back…to square one, so it seems. The Gourmet Belly doesn’t seem to have shifted (and in some cases, grown an extra size of two…), so let’s give the people what they want…More Food!! More interesting dining experiences!! 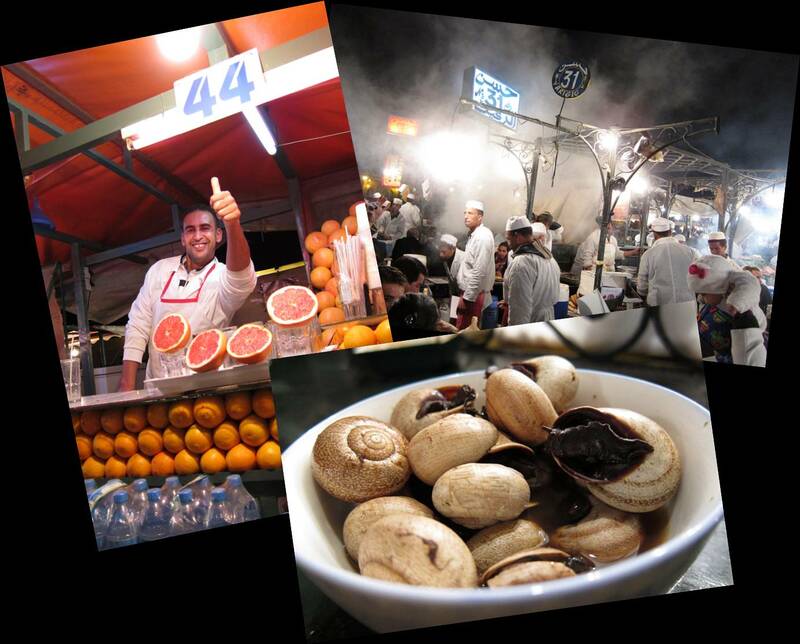 So we’re going to Marrakech for a bit of street food (minus the Morocco belly), foodie shots as we roam around the Djemaa el Fna square and to experience the hustle and bustle the city is renown for. For those that are into their sausage…Head to store no. 31 where it’s supposedly the best beef sausages in all of Morocco. For your freshly squeezed orange juice fix, Gourmet Belly preferred store. no 44 as there was no hard sell, but just a lovely welcoming smile and a free top up – although I’m sure there was some sugar added to the juice as everywhere else had that slight sourness which made the taste buds cringe. And not for the faint-hearted, give the escargot served in a hot dark broth a go at store no. 39. Minutes of fun as you use little toothpicks to pull the little suckers out from their shell. Destined to explore Guéliz, the new part of town built by the French, we headed to Al Fassia, ranked as one of the best Moroccan restaurants in Marrakech by the guide books and travel sites. And it did not disappoint. Run exclusively by women, the restaurant is elegantly decked out with white table cloths, and the dim lighting giving it a romantic touch. No romance on our table though…we were here to devout some of their signature dishes we had read so much about. 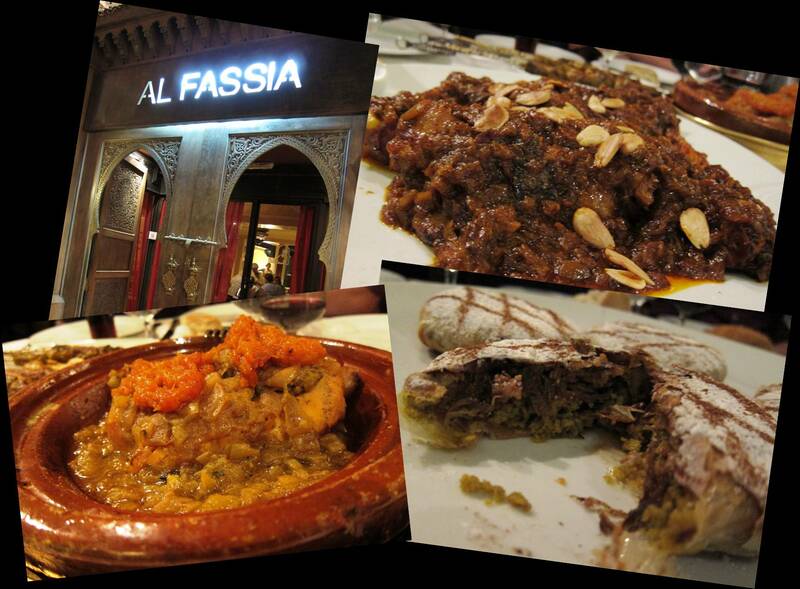 The meal was obviously more expensive compared to the cafes and restaurants in the Medina serving local cuisine, but at £25 per head including drinks and wine – Al Fassia is definitely worth a visit if you plan to explore the area of Guéliz.